- I need a better TV, but don't want to buy a dedicated one. I had to put 'options zr36067 card=3' into '/etc/modprobe/local.conf' to get it recognised properly. Once it was working I found I was getting jerky video. A bit of sniffing around with mplayer and I discovered that I have interlaced, bottom field first video coming in off the card. 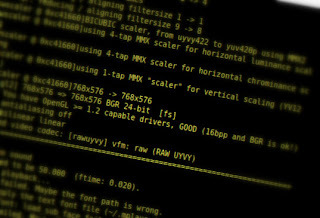 I started playing with a few de-interlacers - then discovered yadif - I realised that in one of modes you can set it to produce a complete frame from each of the interlaced fields - coupled with a framerate of 50fps (double 25fps for PAL) I can playback interlaced video on a progressive video display, without actually using a deinterlacer, in effect you perception is doing the deinterlacing - same as an interlaced TV.